RainPro Gutter System Aerial Video! 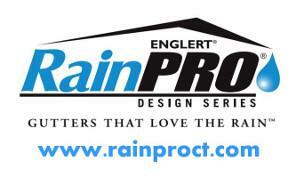 RainPro Design Series gutters protect your home from water damage by moving more water away from your home faster than other seamless gutters. 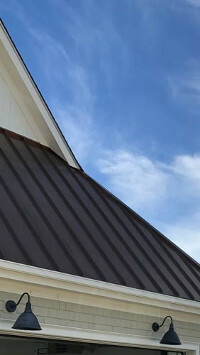 RainPro's unique design allows for maximum water flow without the look of a bulky rain gutter system. Contact us today for a free consultation and estimate in Greenwich, Stamford, Norwalk, and nearby Fairfield County. Unique seamless design looks sleek and attractive on your home. Features 3 3/8" outlet and downspouts that are larger than standard gutter downspouts and can carry water away from your home faster. Exclusive ScratchGuard® paint finish won´t chip, peel or crack, and comes with a Limited Lifetime Warranty. RainPro seamless gutters fit your roofline to protect against fascia rot and water damage. Constructed with heavy-duty 0.032 aluminum that lasts longer than other materials and resists rust. If you're tired of your gutters clogging, sagging or leaking, seamless gutters are the answer. The spillover from old gutters can cause severe damage to your roof, fascia board, landscaping and foundation. Plus, regular gutters tend to leak and rust where they are joined. Seamless gutters are made on site to ensure a perfect fit. RainPro seamless gutters are formed from a continuous piece of aluminum that's 18.5% thicker than normal gutters. 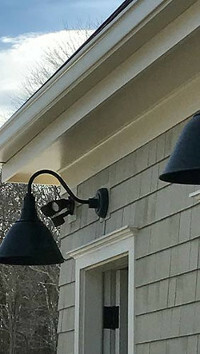 We also use hangers instead of nails to attach the gutters to your home. The hangers are hidden out of sight and help keep your gutters from pulling away from your home. If you're interested in installing new gutters on your home, contact us today to schedule your free consultation and get an estimate on a custom RainPro gutter system. 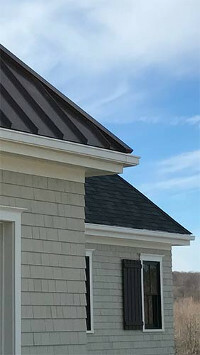 Connecticut Gutter, LLC is a trusted contractor for gutter installation and leaf protection systems in Fairfield, Bridgeport, Darien, New Haven, Milford, Ridgefield, New Canaan and the surrounding area.